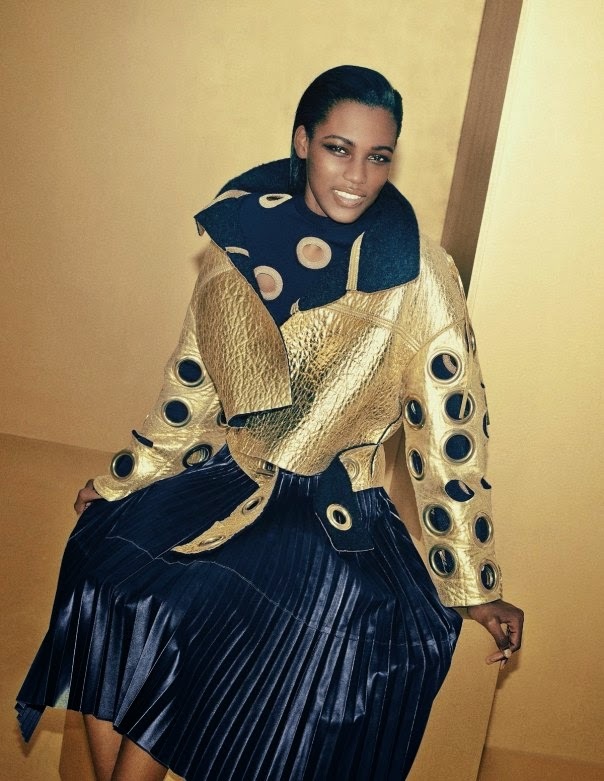 Elle France goes for gold with rising Jamaican star Kai Newman for it's December 2014 editorial "La Dorée" lensed by Arnaud Pyvka. 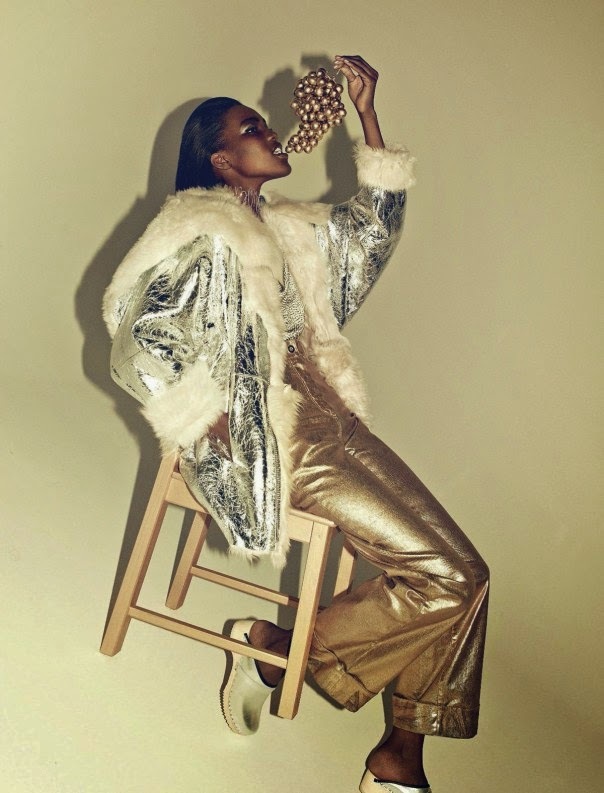 Seventeen year old Newman poses for Pyvka with all of the confidence and authority of a seasoned veteran while decked out in shimmering gold ensembles styled by Elissa Castellbou. Since her stunning debut at the Spring/Summer 2014 collections, the statuesque 178 cm Saint International protégé has gradually gained momentum via consistent blue chip turns on the runway with the most recent being during the Spring/Summer 2015 season for Jil Sander, Lanvin, Burberry Prorsum, Anthony Vaccarello, and Hermés. Newman's sophisticated beauty, gazelle-like proportions, and charismatic grin have also lit up the pages of W, i-D, American Glamour, German Vogue, Elle Italia, and Lula Magazine in editorials throughout 2014. 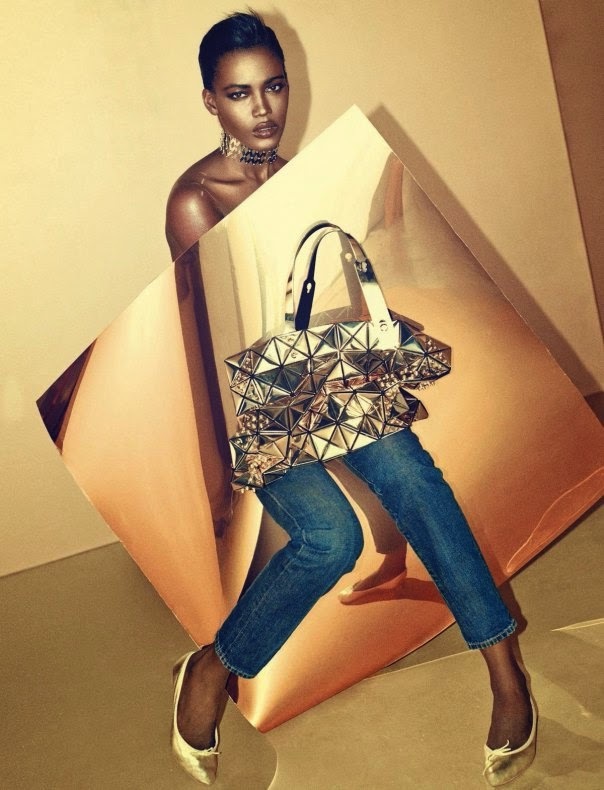 Proving that she is the full package, Newman's recent Fall/Winter 2014 campaign slots for Tommy Hilfiger Denim and Kenneth Cole suggest that her high fashion relevance is matched in equal measure by a commercial accessibility which translates to bookings for a board spectrum of clients. In an exclusive interview in November 2014, Newman hit the nail on the head in her response to IMA's question "What makes you Inoubliable? ", to which she responded "My smile... and my runway stare."